After surviving his 1st tour in Bomber Command Hamish Mahaddie was, in July 1940, assigned officer instructor at RAF Kinloss in Scotland. He served with No.19 OTU RAF, still flying the Whitely. The goal at Kinloss was to take Pilots, Navigators, Wireless Operators, Bomb Aimers and Air-gunners, all arriving from their respective basic Training Stations, and sort themselves out into Crews of 5, before starting their 12 to 14 weeks course of Operational Training. Mahaddie worked to meld them together into functioning Crews. He proved to be excellent at Training Crews, and over the next 2 years, he rose to the rank of Squadron Leader. Frustrated in no longer flying Combat Missions, Pilots who returned to visit whom he had trained gave him the sense that things in the Operational Squadrons had changed since he had last been flying Ops. For his service at Kinloss, he was awarded the Air Force Cross (AFC), a non-combat award that Mahaddie sarcastically referred to it as his “Avoiding Flak Cross. S/L Craig was stationed at RAF Kinloss for 14 Months with his wife and eldest son Gavin and his daughter Diana who was born during this posting at The Radcliffe Hospital, Oxford. His wife Mary had returned home to Knaphill for the Birth. RAF Kinloss is a station near Kinloss, on the Moray Firth in the north of Scotland. It opened on 1 April 1939 and served as an RAF training establishment during WWII. After the War, it was handed over to Coastal Command to watch over Russian Ships and Submarines in the Norwegian Sea. Kinloss also housed an operational maritime squadron from December 1950 onwards, this being No.120 Squadron equipped initially with Lancasters, until replacing them with Shackletons. This squadron remained here until departing for Aldergrove on the 1st of April 1952. Until 2010 it was the Main Base for the RAF’s fleet of Nimrod MR2 maritime patrol aircraft. Not long after VE Day, 19 OTU was disbanded and the arrival of 6 Coastal OTU saw the beginning of Kinloss’s association with Maritime Operations, an association that continues to this day. The Wartime Avro Lancaster was adapted without great upheaval for anti-submarine and search and rescue duties and RAF Kinloss changed from a Bomber Training Unit, to a Coastal Command Base training Maritime Aircrew. Its personnel now also included National Servicemen. 19 (C)OTU was split into No. 236 Operational Conversion Unit RAF and the School of Maritime Reconnaissance in 1947 with 236 OCU remaining at Kinloss. S/L Alan J Laird Craig DSO, DFC, AFC as Chief Flying Instructor, Long Range Marine Reconnaissance, Air Sea Rescue, Instrument Flying. Craig also attended an Officers’ Advanced Training School (OATS) Course in the post-war period at RAF Bircham Newton between March and May 1949 with no flying undertaken during that period. Technical Training Command took over this station and it became the home of the Officers’ Advanced Training School (OATS), later to be renamed the ‘Junior Command & Staff School’ (JCSS). In October 1948 the station was transferred to Technical Training Command and became the School of Administration, with the Junior Command and Staff School and the Administrative Apprentice Training School (AATS) also being based here from the late 1950s until 1962. The by far largest and most impressive structures on every Airfield are the aircraft sheds (hangars), and RAF Bircham Newton is no exception. The Aerodrome’s 3 C-type hangars, the largest Hangar type ever constructed by the RAF, are still in place. Measuring 45 x 95 x 11 metres (150 x 300 x 35ft) and designed to accommodate large Aircraft such as heavy bombers. The C-type Hangers are perhaps the most famous of all Hangars, and several variants in construction and appearance existed. The basic structure of these gigantic buildings comprises a steel shell, with steel stanchions supporting a steel-framed roof. The Hangars at RAF Bircham Newton are currently used for a variety of Training Projects for the Students of the Construction College, who have added their own Structures such as a couple of very tall chimneys which can be seen from quite some distance away. Our aircraft was fitted with the same set up used by bomber command on their nightly raids, a photo flash linked to a camera and the bomb release button to obtain a photograph of the target and the bomb pattern. All training crews on this flight had just the one photo flash, one chance to get it right. We were lucky that night because as we droned west the build-up of cumulus clouds over the Scottish mountains gradually dispersed and we were able to take Astro shots which helped us to confirm our position, and as the clouds thinned it also revealed a thin, melon slice section of the moon. We were able to fly towards the moonlight, dim though it was, and silhouette Rockall in all it’s craggy glory (270 miles) north-west of Ireland. We made our bombing or photograph run, Les pressed the button and we had that solid lump of rock plumb in the middle of the frame. It was very good teamwork. From Rockall, we headed south of east for Mull island and back to Base for the final flare target bombing and the north sea shootout. 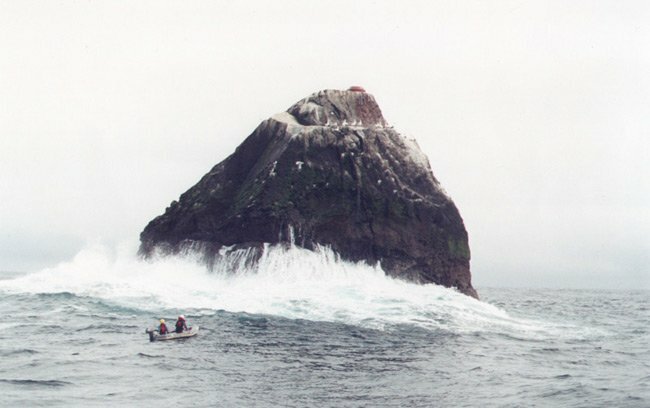 For that trip, we were awarded full marks and each member of the crew received a photograph of Rockall. I still have mine, somewhere! That was the last time we flew from Kinloss as a Trainee Crew. We completed the Station Commanders test, and then we were fully qualified for Bomber Command, Would it be Lancasters or Halifax’s? Our grading was quite good and we felt confident it would be Lancs. the ultimate in our view. 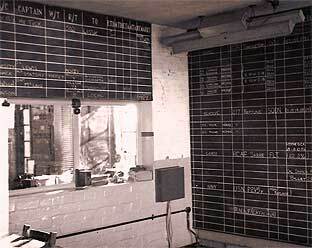 However, in the RAF you were never sure what would be printed on the DROs (Daily Routine and posting Orders). Like all the other crews we had to wait and see and keep our fingers crossed. After a few days, the postings came through and we thought “a dead-loss” until we met the men of the 1st Airborne. Although fully qualified for Bomber Command, being typically British, the “powers that be” decided that our group of 24 crews would be essential to develop 38 Group, the rapidly expanding Airborne Division. Unfortunately, the new Training Squadrons were fully manned so we would have to wait our turn and instead of doing the sensible thing and sending us home on indefinite leave! We were posted to the Driffield Battle School in Yorkshire to train for 3 solid months, (1st November — 26th January) With the Commando and Airborne Divisions. (I thought it was much longer than that but those dates are in my log book.) We thought we were fit until we met the 1st Airborne, then we found out we were not very fit at all. Mind you 3 months later, things had changed. We were fit, a young Commando Captain had made sure of that (the 1st human dynamo I had ever met) in fact you could say without any exaggeration that we were very, very fit, with muscles that bulged in every direction. We could toss tree trunks around, climb sheer quarry walls, abseil down cliffs, cover rocky ground on elbows and knees with controlled machine gun fire to keep our heads down, and thunder flashes to liven things up. We had to admit whether we liked it or not, the Airborne had done their best to make us feel at home and mould us into one of them. Moving back to the day of the accident, there were 5 more casualties – the crew of a RAF Lancaster in Scotland which crashed in flames shortly after take-off. When the ‘Sub-Smash’ procedure was initiated after reports of the sinking of HMS Truculent reached the Admiralty, all units that were able or likely to assist in the rescue operation were contacted – this included RAF and Army units. Naval Divers were needed urgently, and although HMS Reclaim (the dedicated submarine salvage and rescue vessel) was laid up in Portsmouth while undergoing maintenance, her Divers set out immediately for Kent. Other Divers were set to assemble at RAF Leuchars in Scotland, and transport to the South of England was required urgently. By a strange twist, an anti-submarine warfare squadron based at RAF Kinloss was selected to pick up the naval personnel and take them to Kent – a role reversal for crews trained to seek out and destroy submarines. At No.236 Operational Conversion Unit, a fast turn-around was ordered on Lancaster SW363 which was returning to Kinloss from a Training Mission, and a replacement Crew for the Flight was chosen. The urgently picked crew for Lancaster SW363 was made up of highly experienced Officers and men who had been selected for their extreme competence and abilities – each was an Instructor in his chosen field, and between them, they had the experience and knowledge to carry out the task allocated to them successfully. Due to their positions as Instructors, they were ‘self-briefed‘ before take-off. It was probably unfortunate that on the night of 12th January 1950, when the call came through to find an Aircraft and Crew to ferry Naval Divers from Leuchars to Manston to take part in the rescue efforts for HMS Truculent, all of the Officers had been attending a ‘Dining in‘ night at Kinloss. Although each Officer had been drinking, the Board of Inquiry that followed the crash examined the Mess returns for the evening and decided that no Officer had drunk more than 4 sherrys and that therefore alcohol played no part in the accident. Although in today’s society, driving a car after drinking 4 sherry’s would undoubtedly lead to complications. Most agree with the Board of Inquiry – the time between the Mess Event and take off, combined with the competence of the Crew and the urgency of their mission, would have left them clear-headed and up to their task. The fault that caused the mid-air fire was certainly beyond their control, and the Officers at the controls of the Lancaster had only seconds to react. Although the fire extinguishers hadn’t been triggered, everything else showed that they attempted an immediate ‘wheels-up’ landing. “I am Chief Flying Instructor at No.236 OCU, R.A.F. Kinloss. On the evening of 12th January 1950, I was present at a ‘Dining-in Night‘. After the ‘Port‘ had been passed, I was advised by Wing Commander Holgate that the Station Commander had excused my further attendance at the table since the OCU had been ordered to Stand-by a Crew to fly on a special sortie that night. He asked me to choose a Crew for a possible flight in a Lancaster from Kinloss to Manston via Leuchars and return. I left the Dining Room and warned the Officer in Charge of night flying to prepare an Aircraft for such a Flight, and started to consider the selection of a Crew. At this time, the Dinner concluded and I was joined at the telephone in the hall by Wg Cdr Holgate, and several of my Flying Instructors. We were then informed that the purpose of the Flight was to ferry 12 Naval Divers and their equipment from Leuchars to Manston for rescue work in connection with ‘HMS Truculent’. There were many volunteers to form the crew of the aircraft, and I selected Flt Lt Harris as Captain, Flt Lt Williams as Co-pilot, and Flt Lt Stevens as Flight Engineer. This selection was approved by Wg. Cdr. Holgate. 5 crew members of Lancaster SW363. Back row L-R: Ernest Geal, Richard Gwynn Williams, John Cunningham. Front L-R: Leslie George Harris, Alfred Enos Stephens. Brief biographies as follows. 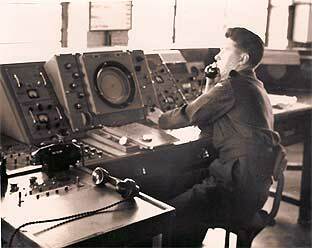 Sig 1 Ernest Geal (Wireless Operator) had 1st come to RAF Kinloss as a Student on one of the OCU courses. The high ability he showed during his Training, coupled with the obvious enthusiasm for his work, resulted in his being posted immediately to the Staff as an Instructor on completion of his Training Course. He was devoted to flying and although he had been offered other employment, nothing had been able to persuade him to leave the RAF. He had logged more flying hours than any other Instructor, over 3500, which was a remarkable record. It was noted that his keenness was always evident, and whenever a signaller was required he would invariably have been the 1st to volunteer for duty. When Lancaster SW.363 took off on the evening of January 12th, Sig.1. Ernest Geal was occupying the Wireless Operator‘s seat. At the crash site, his body was found to the rear of the main wreckage, and it was decided that he had died instantly from multiple injuries. Buried at Cheadle Churchyard, Staffordshire, Ernest Geal was survived by his wife and 4 children, 2 boys and 2 girls. Flight Lieutenant Richard Gwynn Williams (known as Gwynn) joined the RAF in March 1943, undertaking his Flight Training at Rissington (where he ‘wrote off’ an Aircraft), Ansty, Oakesfield, Dewinton and the United States Naval Air Station at Grosse. Throughout his training, and despite his accident, he obtained ratings from his Instructors ranging from ‘average’ to ‘high average’. He was Commissioned in September 1944 and granted his permanent Commission in October 1948. He had been at Kinloss for over 2½ half years, having been posted there in November 1947, and by the date of the fatal crash had logged over 1300 flying hours. At age 25, he was the youngest of the Flying Instructors on the Station and was regarded as an excellent Instructor with the ability to impart knowledge with clarity and ease. Flt. Lt. Williams was widely experienced in Coastal Operations, particularly in the development of anti U-Boat weapons, having been on the Staff of the Anti-submarine Warfare Development Unit prior to his posting to Kinloss. For a considerable period of time, he combined his instructional duties with those of Intelligence Officer at 236 OCU, a role he had only recently given up. He was also in charge of the Sailing Club – as a keen yachtsman he was highly regarded at the nearby Findhorn Yacht Club. He was also well known in the area for his choice of automobile, a vintage 1923 Rolls Royce touring car, which was often to be seen on the local roads. At the time of the fatal crash, Flt. Lt. Williams was occupying the 2nd Pilot’s seat in the Lancaster. He was pronounced dead at the scene of the accident from severe burns. Unmarried, and having lost his only brother in WW2, he was survived only by his widowed mother. The funeral took place at nearby Kinloss Abbey on Monday 16th January, with the cortege led by Squadron Leader A L J Craig and a Guard of Honour. The Station Pipe Band played as the procession moved at the slow march, and the service was conducted jointly by Padre Jamieson from the Station and Canon Lake from Forres. John Cunningham joined the Royal Air Force in 1941 and served throughout WW2 in Bomber Command as a Navigator. He originally went to RAF Kinloss as a Trainee on a Conversion Course in June 1948, and on completion was posted to 120 Squadron, Anti-Submarine Warfare Specialists. However, his skills as a Navigator led to him returning to 236 OCU as an Instructor in February 1949. Nav 2 Cunningham was known as a quiet and unassuming man, an excellent Instructor, and at all times thoroughly dependable. At the time of the crash, John Cunningham was occupying the Navigator’s seat in the Lancaster. During the search for Survivors, his body was overlooked as it was beneath the remains of the Port Wing and he was initially listed as missing – he was discovered the following morning and his body moved to the Station Mortuary alongside his Crewmates. It was believed that he had died instantly from a fractured skull and multiple injuries. Nav 2 Cunningham had been due to leave the Royal Air Force a few weeks later, on termination of his engagement in the Force, but he had let it be known that he was thinking about staying on for another Period. Survived by his wife and son Leonard, John Cunningham was buried at Jarrow Cemetery, County Durham. Flight Lieutenant Harris had 1st been posted to Kinloss in 1947 after serving in Coastal Command throughout WW2, and by 1950 he was the longest-serving Instructor on the base and had logged more than 2000 hours flown. In addition to being a Flying Iinstructor he was also a training officer to the Squadron, being responsible for drawing up flying programmes and the training record of all Courses passing through Kinloss. He was also Station Athletics Officer, as well as being Entertainments Officer for the Officers’ Mess. It is recorded that in all these duties he always showed unfailing energy and enthusiasm, consistent cheerfulness in the face of all difficulties being his outstanding characteristic. Flt Lt Harris had joined the RAF in 1939, serving 1st as an NCO Pilot before being Commissioned in March 1944 (he was granted a permanent Commission in 1948). His Initial Training was carried out at Finningley in Yorkshire, with more advanced training at Little Rissington, and also overseas at the United States Naval Air Station at Pensacola. On operations, he was awarded the Distinguished Flying Cross after ditching his aircraft in the Bay of Biscay while taking part in anti U-boat operations. He successfully ditched in rough seas, and he and his 4 crewmen survived many days adrift in a rubber dinghy without any food or water until, when the search for them was on the point of being abandoned, they were picked up in an exhausted condition by a British Destroyer. The survival of the crew was due to the excellence of his leadership and to the inspiration of his example. After this hazardous experience, he insisted on returning immediately to full Operational Duty without any rest to recover from the trials he had endured. When Lancaster SW363 crashed on the night of 12th January 1950, Flt Lt Harris was at the Controls in the 1st Pilot’s seat. He was the only member of the Crew known to have survived the initial impact and the fire, but died from multiple injuries and shock shortly after being placed into an ambulance at the crash site. A spokesman from RAF Kinloss stated that he was universally popular with Officers and Airmen; his loss on the Squadron, and in the Mess, was very great and his death would be deeply felt by all who had worked with him. Leslie Harris was interred at Crayford in Kent and was survived by his wife and one child. Alfred Enos Stephens joined the Royal Air Force in June 1940, serving 1st as a Fitter and later as a Sergeant Flight Engineer. He was posted to the West Indies as an Instructor, and his exceptional abilities as a Lecturer and Instructor led to him being granted a Commission in April 1944. He remained in the West Indies for 4 years and was then posted back to the United Kingdom where he met the woman who would become his wife, a Flight Officer in the WAAF. They married in September 1947. Mrs Stephens resigned her Commission a year later, shortly after her husband was posted to RAF Kinloss in September 1948, and joined him at Forres. Flt Lt Stephens was regarded as one of the foremost Flight Engineers, well known throughout Coastal Command, with few equalling his knowledge of and ability with, Aircraft engines. He was also one of the early editors of the Royal Air Force Magazine that was published in the local Forres, Elgin and Nairn Gazette. At the scene of the crash that killed all 5 crew members of Lancaster SW363, the body of Flt Lt Stephens was found alongside that of Flt Lt Williams. Both were lying forward and slightly to the right of the main wreckage, and Stephens was judged to have died from multiple injuries. He was interred at St Mary’s Burial Ground at Cowes, Isle of Wight. Photographs were taken at the scene of the crash of the Lancaster, plus a photograph used at the Board of Inquiry showing the recovered faulty fuel filler cap from the port wing. It can clearly be seen from some of these pictures that the engines were not under power at the moment of impact – the way the propellers had bent, and the lack of furrows on the ground surface indicated to the Examiners that they had all been shut down before the Aircraft hit the ground. On 13th January 1941 this brand-new aircraft was being given a fuel consumption test and carried a mixed Crew but all were operationally experienced and qualified to carry out the test. They were to carry out the test at 12,000ft at which they were to cruise at that height for an hour and measure the fuel consumption. The Aircraft took off from Linton on Ouse at 11.20hrs and climbed away. About half an hour later the Aircraft was seen near Dishforth at around 3,000ft with the Pport undercarriage down and a trail of vapour behind the Port side of the Aircraft. One of the Port engines was also seen not to be working. The vapour then ignited (probably as a result of being ignited by an engine exhaust flame) and a large fire was seen on the Port side of the Aircraft after which the Aircraft entered a steep dive before crashing from 2,500ft near Baldersby St. James, between Thirsk and Dishforth at 11.53hrs. All the Airmen on board were sadly killed instantly. The fire was thought to have burnt away the Aircraft’s tail control surfaces making the Aircraft become uncontrollable. The Crew were found to have all been wearing their Parachutes and all were probably preparing to bale out when the Aircraft entered the spiralling dive and as a result, they were unable to get out. The cause of the fire was blamed on the failure of the Ground Crew at Linton on Ouse to put the fuel-filler cap back on one of the Port fuel tanks after it had been refuelled. The vapour seen behind the port wing would also certainly have been fuel, which, by the time it ignited had soaked into the tail section of the Aircraft. Also of note is that the Port outer engine had been suffering trouble since its delivery. It suffered a coolant leak on 3rd December 1940 which resulted in a new radiator being fitted and then the same engine showed low oil pressure, it was run-up on 24th December 1940 and a new oil relief valve had to be fitted. Following the crash, all the engines were removed and taken away for inspection and this engine was found to have suffered an oil shortage in the air prior to the crash, part of the crankshaft had broken causing the failure of the engine. Further investigation of other early Halifax’s found that this was a design problem with early Halifax’s. When full of fuel and in a tail-down position the oil pumps on the outer engines were above the oil level. This oil system was later changed to stop the problem re-occurring. Why the undercarriage had dropped or been lowered is not known. Aircraft of the period were an inspiring sight and the Lancaster bombers of WW2 are remembered as one of the historical components of the air War. Today Aircraft enthusiasts use 401K business funding flying replica Aircraft and collecting historical artefacts relating to Aircraft of the time period. The Lancaster was an iconic sight in the skies of the time. Aircraft Type Nicknames: “Lanc”; “Lankie” The Avro Lancaster was designed initially as a heavy bomber. It was developed from the Avro Manchester bomber, but the unreliable Rolls-Royce Vulture engines of the Manchester were replaced on the Lancaster with 4 Rolls-Royce Merlin engines. However, the Lancaster GRlII variant featured here was fitted with 4 American-built Packard Merlin engines. In the evening of the 13th of March 1951, this Lancaster set out from RAF Kinloss for a training flight and a Navigational Exercise. The Aircraft was on the final leg of a night-time navigation exercise between the Faroes and Rockall and was heading home when it collided into the Mountain, Beinn Eighe, at around 02.00hrs on the 14th of March. (Massif summit 3258ft) It was only 30 minutes from landing back at base. the Lancaster crashed just 4.6m (15 feet) below the summit. Although experienced Civilian Mountaineers offered their services to find the Aircraft, the RAF declined their assistance initially. This was unfortunate, as, unlike today, and unlike the Civilian Mountaineers of that day, RAF Recovery Teams were not fully trained or equipped for arduous mountain rescues or recoveries. Indeed, it was as a result of this incident that the modern RAF Mountain Rescue Teams (RAF MRTs) were formed. Kinloss Battle HQ was constructed to defend RAF Kinloss during WW2, and is still present on the site (2009), within the perimeter of the modern day RAF airfield and base. The structure follows a standard design pattern, known as 11008/41. The purpose of the Battle HQ was to deny the use of the Airfield to the enemy in the event of Invasion. Sited to provide good coverage of the runways, the Battle HQ was heavily reinforced to resist attack by enemy troops which may have been parachuted in to take over the airfield, it was provided with a concrete roof over 2ft thick, and underground rooms for the defenders. The only features visible on the ground are the raised observation post and the entrance, which lies in the ground a few metres away from the post. The observation post is well preserved, and lies to the south-east of the runways, hidden within a small plantation which has become established around it since the end of the war. Originally, it would have been in the clear and been only a few metres to the east of the airfield perimeter road, and the eastern end of the original northwest-southeast runway. Also reported nearby are trenches for defenders, and machine gun emplacements. As with the HQ, these are now lost within the later trees. Reported to have been inspected and recorded before being closed, the entrance and emergency exit have been plated and sealed by the MoD. There is no public access, as the structure lies within the perimeter of an active RAF base. The photograph clearly shows the emergency exit hatch located immediately adjacent to the Observation post, and the normal entrance/exit located on the ground nearby. The plating added to seal the facility is also clearly seen.